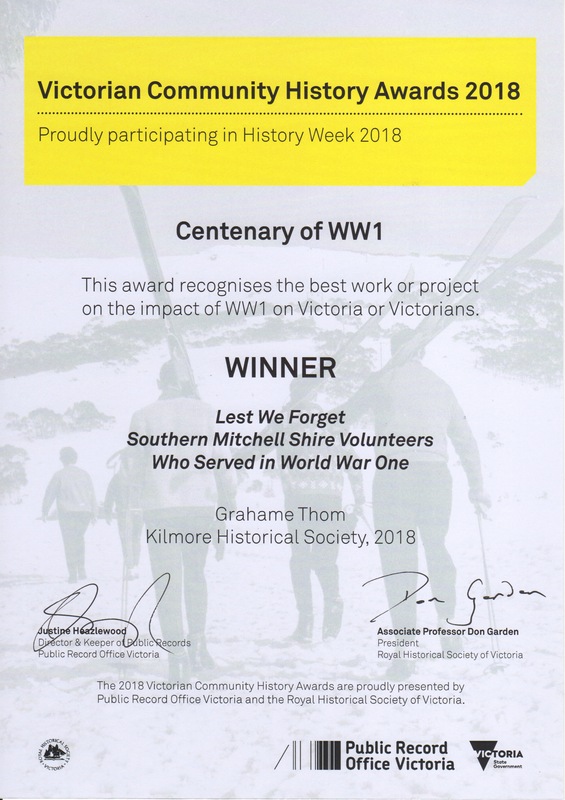 The Public Records Office of Victoria has awarded Kilmore Historical Society and Grahame Thom an award for our series of profiles on World War One soldiers. 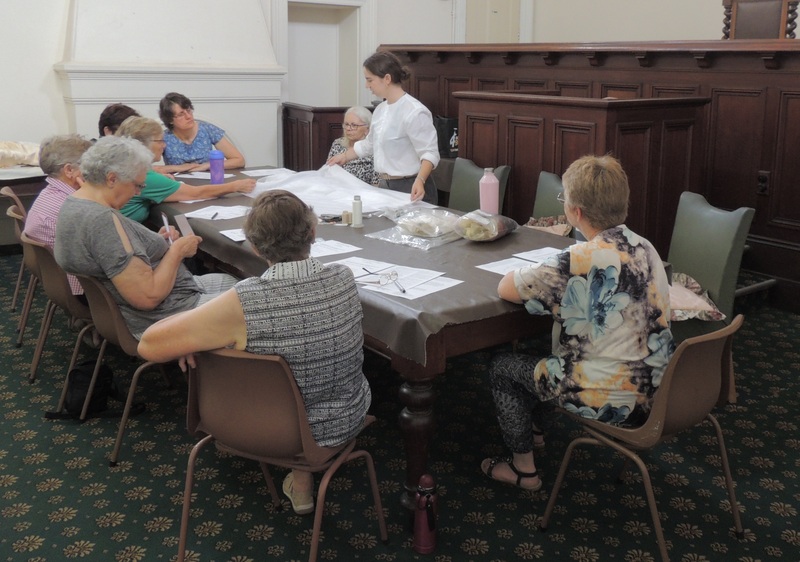 These profiles have been published in the local newspaper, the Kilmore Free Press. Grahame suggested this project as part of our recognition of the centenary of the outbreak of World War One in 1914. The project has continued over the last four years, and we have now profiled the bulk of the local soldiers. Many region al profiles have also been submitted by other local organisations. Congratulations to both Grahame and the Kilmore Free Press, and to all the local historians who have contributed profiles. Reporting that renovations at the Courthouse are nearly complete. All scaffolding has been removed. There might be some minor interruptions as some painting needs to be done to the ceiling in our side room. Visitors can now come to our rooms – Tuesdays 10am to 3pm.